There are aspects of this illness that I find very amusing. I’ve become more of a simpleton than I was before, and with my apparently unusual clothing combinations I certainly look the part according to my family and friends! I am officially classed as a vulnerable adult, but rather than see myself as a victim in a life I would not have chosen, I am able to look on the bright side. Laughter really is the best medicine. I am most thankful for my sense of humour. Some people find the forgetfulness and incredible confusion upsetting and frustrating, but I find it mostly hilarious. 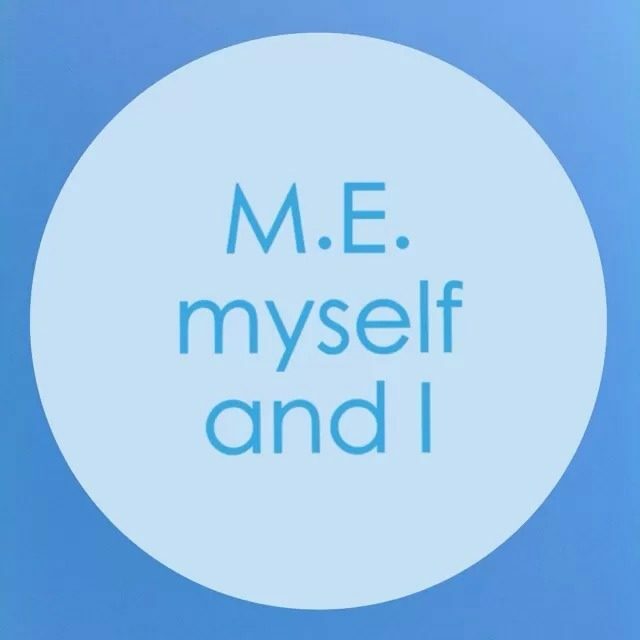 Obviously M.E isn’t a joke! But I’m glad I can still laugh at my own expense despite it all. Since having M.E I get confused between what is real and what I have dreamt. My family and friends now know to take the things I tell them with a pinch of salt and they joke amongst themselves about how I can’t be trusted to retell an event accurately anymore. I am most likely to be found wearing my confused face, for I am very easily confused these days! Chatting online is great though as I can reread people’s replies and work out what they’re saying in my own time. People have to repeat things to me more than once because it can take a while for Mr Brain to process what they’re saying. Poor Mr Brain isn’t always on the ball these days. There was the time I shampooed my face instead of my hair because my brain got confused. Or the time I put the kettle back in the fridge instead of the milk after making a cup of coffee. Or the time I put my clothes on back to front and inside out, and it took me a while to work out that I’d gone wrong. I am always forgetting whether I’ve taken my tablets (the very tablets that are meant to help with my cognitive function and memory!!) I can repeat a sentence several times in the space of a few minutes with no recollection of having said it already. I use the wrong words in sentences. I often get my days wrongs and miss out days of the week despite keeping a diary and filling in my daily target sheets. Today it took me a worrying amount of time to work out why my coffee tasted so nasty. I’d forgotten to boil the water. Oh bless me! I could go on, but I’ll save the rest for another day. I used to be a bright spark. A much brighter spark anyway. Now, well, not so much!